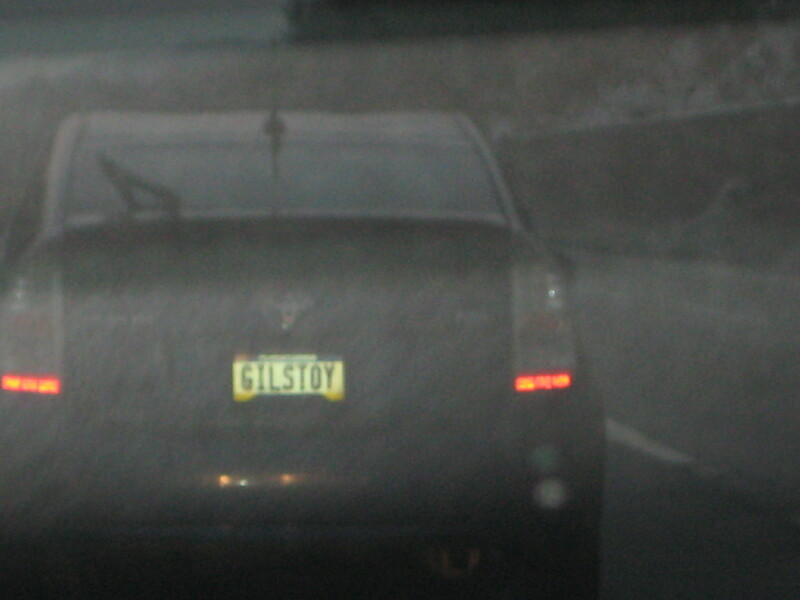 Usually when you see a plate that says “So-and-so’s Toy” it is attached to a Corvette, a Porsche or hell even a BMW. It’s not everyday you see one on a Prius. What the heck makes this a toy, Gil? Is this the new midlife crisis car? When did buying an economy saving vehicle become the new “toy car”? How out of touch am I? Btw..Gill was NOT happy to see the flash of my camera go off behind him. He thought I was fashing my high beams at him! Sorry, Gil.